Like a lot of people who love to try new things, I’ve been anxiously awaiting Google’s release of Chrome OS since Chrome OS was announced in November 2009. That’s been a long wait, especially considering we’re in the summer of 2011 now. Still, I’d like to think that Google has made the wait worthwhile, even if the netbook wave has crested and the hipness of the netbook has been supplanted by the tablet computer and Chrome OS’s heat has been taken by Android’s meteoric rise. Well, the first Google Chrome OS-powered netbook from Acer made its debut yesterday at Google I/O, and the specs look pretty impressive. 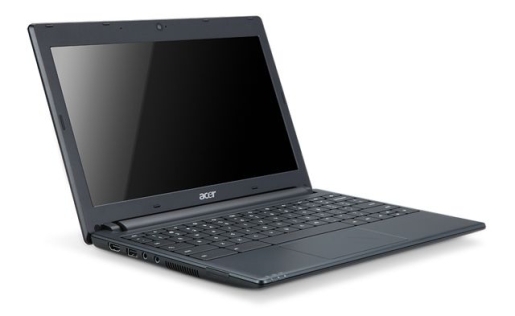 For the low investment of $349, you get an Acer netbook with a 11.6-inch HD widescreen monitor, a full-sized keyboard, an HDMI port, 1GB of SSD HD space, 2 USB ports, a 4-in-1 memory card reader, a clickable trackpad, a HD webcam with noise-cancelling microphone, an Intel Atom processor, and most importantly of all, Google Chrome OS. Samsung has also released its first Chromebook, as Google and its partners are calling the Chrome-powered netbooks. Both of the netbooks will be available for preorder at Best Buy and Amazon starting June 15. You can find out more information at Google’s Chromebook website, or by scouring your friendly neighborhood technology blog.